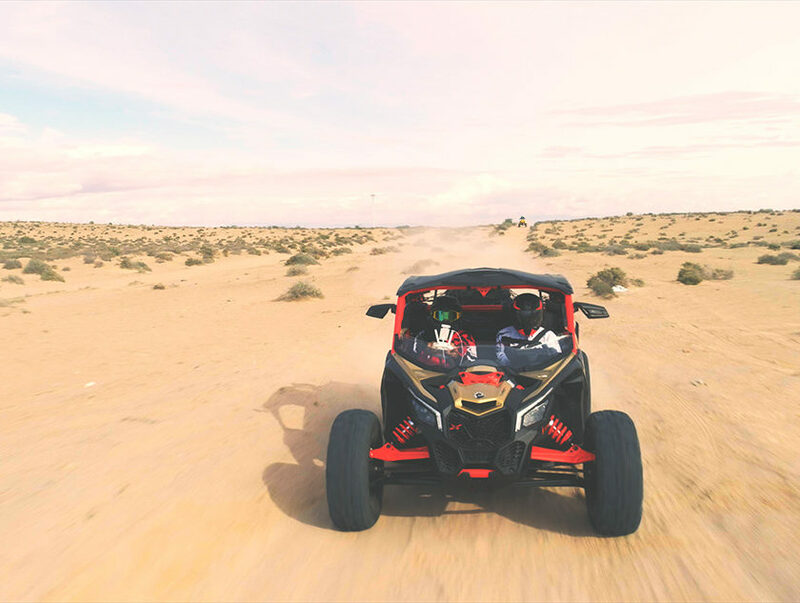 If you’ve been keeping up with the world of UTVs you know that Can-Am is absolutely dominating. 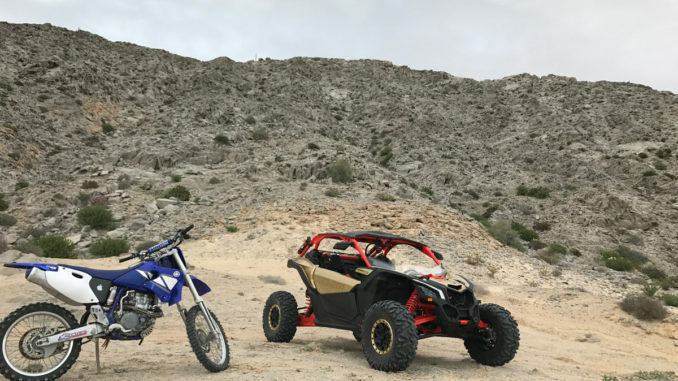 For the longest time, the Polaris RZR was king, but Can-Am’s Maverick is better in every single way. Not only does it have a ridiculous amount of suspension travel, it’s also extremely powerful, really good looking, and extremely well built. 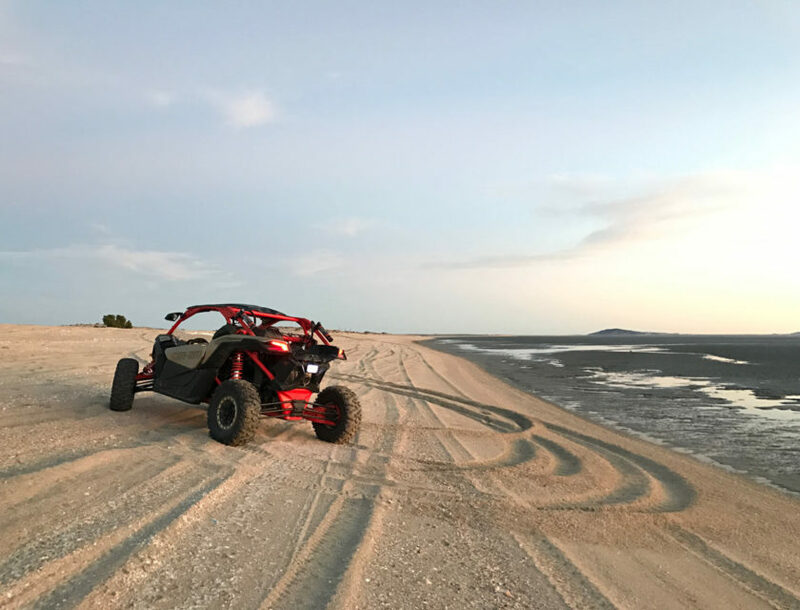 Well on a short vacation in Mexico we had the chance to take a short ride in a Maverick X3XRS, here are our thoughts. Most UTVs are really tall, narrow, and frankly pretty ugly. This makes sense given their utilitarian roots. 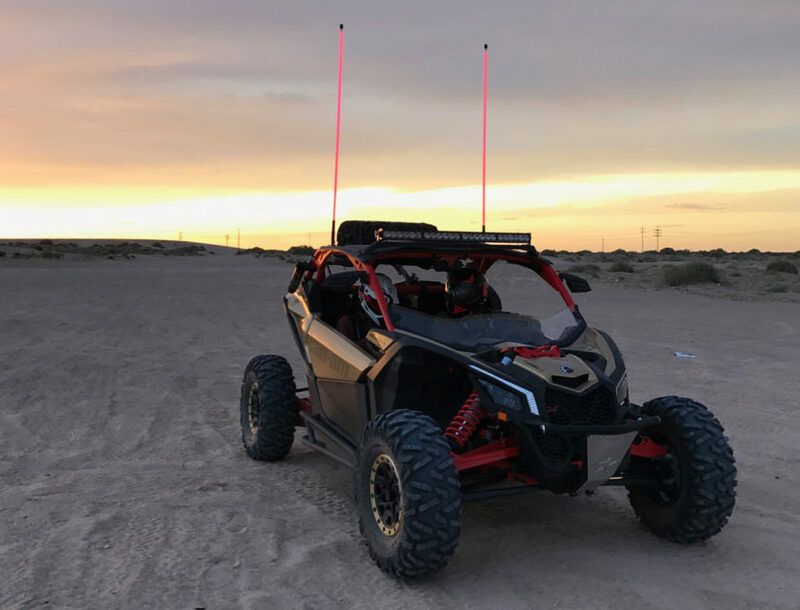 The Maverick X3 has a really low height, wide stance, and bat mobile vibe to the look. It really does look like something out of a Batman movie and makes other UTVs look pretty goofy. Luckily that really low and wide stance isn’t just for looks and seriously increases performance. We knew 200 horsepower in a small hatchback was a ton of fun, so 154 horsepower in a little UTV had to be crazy. The three-cylinder design is inherently smooth and provides a very flat torque curve. The result is 154 horsepower at 7,500 RPM and 113 lb-ft at 7,000 RPM. Although peak torque on paper sounds kind of low, the way the transmission lets the engine rev out all the time completely makes up for that. All this power is good enough for 0-60 in 4.9 seconds which is faster than many sports cars. What impressed me the most is how well is actually put all that power down. Lots of power, low weight, 4WD, and great tires add up to insane acceleration on the dirt. It doesn’t matter if you’re going 10mph or 55mph, the X3 just pulls like you wouldn’t believe. Part of this has to do with how well Can-Am tuned the CVT. They managed to get rid of nearly all turbo lag and makes the X3 feel more like a big N/A engine instead of a small turbo engine. In my short ride there we got the X3 up to about 75 – 80mph. The straight away we did that speed on wasn’t super long, so we were was seriously impressed how fast we could go. All that power wouldn’t be any good if it was uncontrollable. The X3 XRS is super wide, measuring 72 inches. That’s as wide as most cars and is way wider than most UTVs. This helps keep the X3 XRS stable at high speeds but also provides lots of suspension travel. Up front, it has an impressive 22” of travel, and out back it has an even more impressive 24” of travel. The shocks are Fox 3.0 that are adjustable. All of this combined really puts it into a completely different league than any other UTV. In my short ride, we hit some pretty large whoops and dips and it soaked them up like it was nothing. At some points, we were cringing waiting for it to bottom out, but it just soaked up the bump and kept on going. Even at high speeds the Fox shocks really make the X3 controllable. The control arms are boxed and look like something you would find on a full race truck. We still can’t believe how well it was able to handle massive whoops. 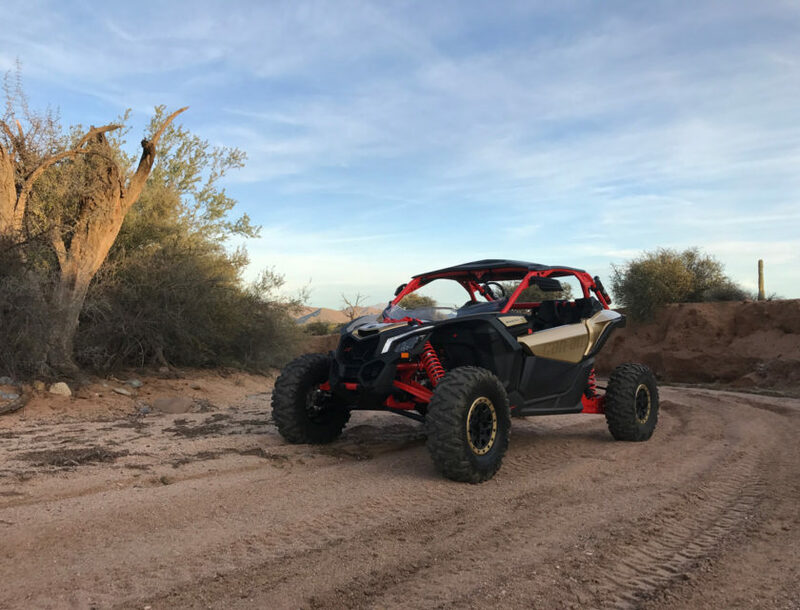 Overall the Maverick X3 XRS is like a little trophy truck. It’s super wide, low, has tons of well-dampened suspension travel, lots of power, and come in an extremely well-built package. It really makes me want to buy one, but they cost more than my Fiesta ST so that probably won’t happen for a while. The Partisan One SUV. Door Handles Sold Separately.